The story of Margarite de Roberval is a story of love and tragedy, a story that has been romanticized by writers and artists alike. Perhaps most intriguing is the uncertainty of the facts of the story itself. Because of this, great creative freedom has been granted to anyone retelling her story. 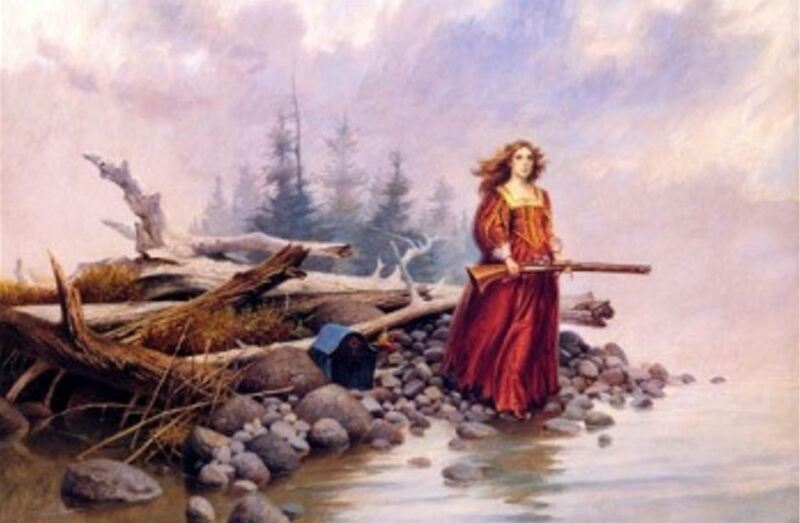 In one rendition, Margarite is depicted as the niece of a sea captain who was exploring the shoreline of the Lower North Shore in hopes of establishing a settlement. Along for the journey, Margarite becomes involved in a love affair with one of the men on board the ship. Their secret is eventually discovered to great outrage of the captain. Despite Margarite being his niece, the captain banished her from the ship to imprisonment or death on an isolated, lonely island along the shore. As the ship pushes away from the island, Margarite’s lover jumps from the ship at the last minute to join her. Soon after their exile, the sailor dies from exposure, yet Margarite continues to survive for two years alone before being rescued by passing fishermen. The exact location of her imprisonment is often disputed, with claims from both the village of Harrington Harbour and St. Paul’s River. It is also known that Margarite miraculously made it back to France alive, but it is unclear how she spent the remainder of her life.